I love Korean food and often make Korean-style dishes at home also. I used to use purchased Gochujang (Korean-style hot bean paste) for some of my Korean dishes, but while there are so many varieties of Gochujang available at a Korean market, I'd never found the kind I really like. I've tried relatively "natural" style kinds also, but any commercial Gochujang I've found were always very sticky (gummy) with syrup and often very (almost too) sweet. 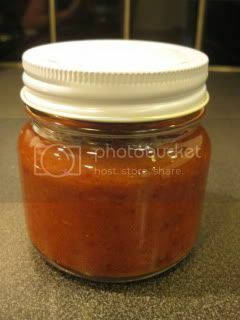 So, now I make my own "healthy" Gochujang, which includes my homemade miso and shio-koji! To make it, combine all the ingredients except for the vinegar in a sauce pan. Whisk the ingredients over medium-low heat until slightly-thickened (4-5 minutes). Remove from the heat and whisk in the black vinegar. To store, you can transfer it into a tight-sealed jar and keep it refrigerated. It's seriously the best Gochujang I've tasted!